The Benefits of an F.A.R. Infrared Body Wrap? How FAR would you go to burn up to 3600 calories in an hour. Well at Wrapped In Wellness, you don’t have to go too far. Our treatment rooms include multiple service options in our FAR Infrared Blankets, that can help you do just that. If you are looking to lose weight, our Infrared Weight Los Body Wraps may be the catalyst to your success. Infrared Body Wraps help aid in Weight Loss and Detoxification. Sweating is the natural way for the body to heal and stay healthy. Infrared provides a person with a deep sweat and cleansing of the skin because it penetrates the about 1 – 2 inches and pushes the toxins out through the sweating process. Our specialized version begins with an application of a Heat induced Niacin based Detoxification agent. This cell boosting application increases circulation, decreases inflammation and acts as a sweat barrier to increase the Infrared results. When the body temperature is raised by heat of any kind, our bodies need to cool itself down. In doing so our heart rate increases as well as our metabolic rate, which causes the body to burn calories. Using infrared is a simple and relaxing treatment to help with those extra pounds many of us are carrying around. The result, a treatment that stimulates your body to burn 3600 which is the equivalent to 6-8 workouts. Weight loss and Metabolic increases for all….BUT HOLD ON….THAT’S NOT ALL… Did anyone have a flash back to an infomercial. Well you should have. We know for certain the weight loss is what motivates you to come see us, but there’s are other special bonuses and benefits that come along with the weight loss. The benefits from infrared wraps are many. Over the next couple of weeks, we want to give quick snapshots of the other physical, and mental benefits that we not only researched but also have seen first had with hundreds of our clients. In the meantime, we look forward to answering any questions you may have about this special service. 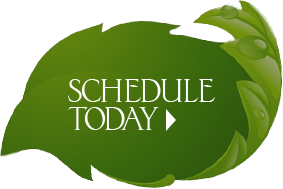 Call today to set you appointment to get on your way to being a healthier, happier you.